Intense fighting flared in northern Afghanistan as security forces battled Taliban insurgents advancing Tuesday on a major provincial capital, officials said, with terrified residents fearing the fall of the besieged city. Hundreds of militants closed in on Kunduz city after attacking outlying police and army check posts on Friday, just hours after the Taliban launched their annual spring offensive. The battles are raging as close as six kilometers north of Kunduz city in Imam Sahib district and nearby villages in the east and south, officials said. 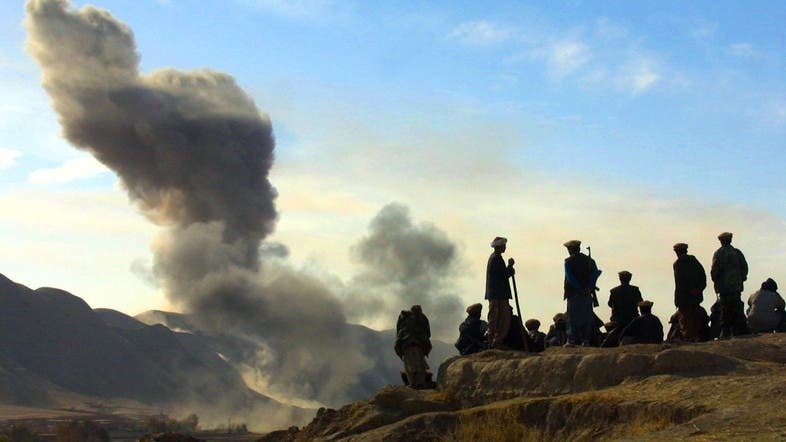 “The Taliban have surrounded the district and if reinforcements don't arrive... the district will fall to Taliban,” Imamuddin Quraishi, the district governor of Imam Sahib, told AFP. “They are attacking us from three directions. We don't have enough forces to contain them,” he added. The streets of Kunduz city were deserted, with shops closed and local administration officials deserting government buildings, residents said as fears of a Taliban takeover grew. “We are really worried that the city could slip into the hands of the Taliban... and all the gains over the last 13 years will be lost,” Ahmad Luqman 35, a shopkeeper in the city, told AFP. The fall of a provincial capital would be a major setback for the Afghan government, which has been fighting a resilient Taliban insurgency since the 2001 U.S.-led invasion of Afghanistan. Quraishi said the provincial government had asked NATO for air support but the appeal had been rejected on the grounds that it may cause civilian casualties. General John Campbell, the commander of NATO-led international forces in Afghanistan, met President Ashraf Ghani on Monday to discuss the situation in Kunduz before Ghani left for a three-day trip to India. “We can confirm that Campbell met with President Ghani to discuss Kunduz,” Christopher Belcher, a spokesman for international coalition forces, said without elaborating. Police spokesman Sayed Sarwar Hussaini confirmed that “intense fighting was raging” near Kunduz city, adding that Afghan reinforcements were being called in to stop the advancing militants. Local residents said the Taliban had blown up bridges linking districts to the provincial capital in a bid to stop the reinforcements. There were no immediate reports of any civilian or military casualties, but in a statement the interior ministry said 27 militants including a Taliban commander were killed on Monday. The Taliban denied the deaths and added that the insurgents were advancing towards Kunduz city. This year's Taliban offensive marks the first fighting season in which Afghan forces will battle the insurgents without the full support of US-led foreign combat troops. Hundreds of Taliban militants closed in on Kunduz city in Afghanistan.